The surprising array of health services Medicare won’t cover, and how to get what you need without blowing a bundle. Every day, 10,000 Americans turn 65 and begin Medicare coverage. At last, they have health care coverage for life! But what many don’t realize is the array of services they’ll still have to pay for on their own. 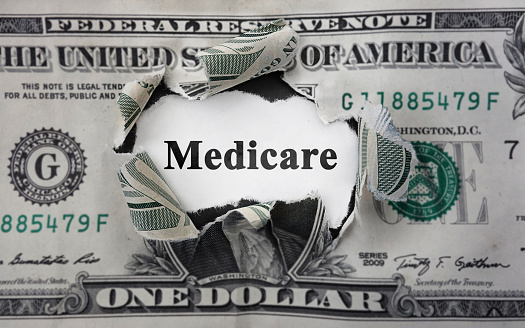 Original Medicare consists of two parts, A and B. Part A covers hospital stays, skilled nursing, hospice and some home health services. However, it does come with a $1,340 deductible per benefit period, and benefits are capped. Part B covers doctor visits, outpatient services (think flu shot) and medical equipment. Singles who bring in less than $85,000 (double that for married couples filing jointly) a year pay $134 a month with a $183 deductible. Typically, you pay 20 percent of services after the deductible is met. Be aware that Part B premiums are based on tax returns from two years prior (your 2016 return for Medicare benefits in 2018). Prescription drug coverage is provided through Part D, or you can opt for a Medicare Advantage Plan (also known as Part C) through an insurance company that will cover Part A, Part B and Part D.
Medicare will cover glaucoma, cataracts and macular degeneration. But for the routine vision checks most of us require, you’ll be paying out of your own pocket. Ditto for eyeglasses and contacts. Initial exams can cost $200, with repeat exams averaging $125. Glasses from the neighborhood eyewear store can be an eye-popping $200-$400. Cover vision costs. For help with the cost of eye examinations, check around for the best deal. Some opticians run specials, such as a free exam with an eyewear purchase. Costco and Sam’s Club offer inexpensive exams that may justify the price of a membership. Check your local Walmart for the cost of an eye exam, too. Don’t forget about a local university with a program for opticians; they may offer extremely low-cost service in return for student practice with a real client. Online stores may have much better prices than brick-and-mortar shops. Check Eye Buy Direct for their frequent buy one, get one specials. Zenni Optical can ship you a pair of glasses for under $12, and you can add options like anti-scratch coating. Warby Parker lets you try on their frames at home for free before you buy. To order online, you’ll need to have not only your prescription for lenses but also eye size, bridge size and temple length. If you have a pair of glasses you already wear, you can likely find the numbers printed on the frame. Or, use the handy guide at Frames Direct to get the measurements. Half of seniors above age 75 have disabling hearing loss, but you’ll have to hand over greenbacks for hearing aids since Medicare doesn’t cover them. And hearing loss is not something you want to let go, because your brain loses its ability to interpret the signals sent by your ears as you lose your hearing. Wait too long, and hearing aids won’t help. The average price of just one hearing aid runs about $2,300, or up to $20,000 for specialized models. Ouch! The FDA is in the process of evaluating and rating personal sound devices, which sell for much less. Be aware that some of these devices are junk, but look at our recommendation for a good one in the paragraph below. Cover hearing aid costs. Some Costco stores and health fairs offer free screenings, but that doesn’t help with the cost of hearing devices. However, a recent study found Sound World Solutions CS50+ personal sound amplifier to be nearly as good as an expensive hearing aid, although it costs only $349 online. Check out the full study results to find other devices that performed nearly as well. The Programs of All-inclusive Care for the Elderly (PACE) offers medical and social services to needy seniors, typically those who are eligible for both Medicare and Medicaid benefits. If you are eligible and choose to enroll, a team of health professionals will provide coordinated care. Generally, this team becomes your primary health care providers, and network options are limited. For many participants, the prime advantage of this comprehensive care is remaining in their community instead of in a nursing home. Because program financing is capped, health care providers are able to provide all services the participant needs, regardless of whether or not they’re covered under Medicare or Medicaid. Visit the website to find specific information for your state. The average cost per senior for annual dental care is a whopping $685, and specialty visits will tack on more. Nearly a quarter of seniors ages 65 to 74 have severe dental disease, quite likely because dental care requires paying out of pocket. Medicare doesn’t cover preventive cleanings and x-rays, nor fillings or root canals. If you need dentures, you’ll have to cover them, and ditto for oral surgery to combat gum disease. Medicare does cover treatments that are essential before someone can undergo another procedure that is covered. For example, extracting a decaying tooth prior to having open heart surgery. Yes, that’s it, so keep your toothbrush and floss handy! If you have a Medicare Advantage plan, you may have some coverage for routine visits to an in-network dentist. Advantage plans are all different, so contact your insurer to find out if you have a dental plan. Additionally, some Medicare/Medicaid dual-eligible plans offer limited coverage. Cover dental costs. You may be able to qualify for treatment at a local dental school for a reduced price since students will be working on you. You can also see if your dentist will give you a cash discount or provide a payment plan. For cleanings, you can go to a new dentist and take advantage of advertised special deals for first visits. The latest research shows you really only have to visit once a year to get the same benefits provided by recommended twice-yearly cleanings. Finally, consider traveling to get care at a lower price. Medical tourism for dental care is fairly common, with top destinations including Mexico and Costa Rica. Both countries accept U.S. dollars, and you may even be able to get reimbursement from a Health Savings Account if you have one. It’s easy to search for a dentist online. If you’re still nervous, search for one who attended an American or Canadian dental school, and check their reviews. 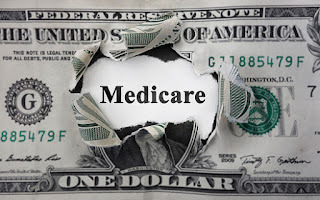 Custodial care (also known as “assisted living”), the routine care that usually pushes many older adults into nursing homes, is not covered under Medicare. This is a big one, since a 2017 Genworth Cost of Care Study found the median cost of a private room in a nursing home is about $97,500 and the same room in an assisted-living facility costs $45,500. With average retirement income for all Americans over 65 averaging $31,740 per year, you can see the math doesn’t add up. Home care (for companionship, light housekeeping and cleaning, etc.) for seniors who are aging in place is also not a covered benefit. Cover long-term care costs. Not everyone is going to need long-term care, but what if you do? There’s no way of telling ahead of time if you’ll get lucky, or break a hip and end up in senior living. You can buy a long-term care insurance policy that will help cover costs. Premiums average $3,560 annually for a couple in their 60s to get a policy with payouts of $150 daily, which is less than the $220 daily average expense. One caveat is that this coverage is usually obtained well before you need it, while you’re still insurable. Check if you qualify for VA benefits as a former military personnel or a family member of one. Finally, you may need to spend down your benefits to qualify for Medicaid, which covers you in certain facilities. You may be wise to consult an attorney regarding how to preserve wealth; doing this as early in the process as possible may give you more options. Home health may be covered under Medicare, either as an inpatient at a skilled nursing facility (SNF) or as an outpatient. Home health always involves a skilled provider such as an occupational, physical or speech therapist, or a nurse, and this care may be limited to a number of sessions. Medical care outside the U.S.
You’re on that dream vacation in Australia, and you trip over the wastebasket in your hotel room. Or a shark bites your arm. Or that salad you ate yesterday is causing severe distress. Doesn’t matter; Medicare doesn’t cover you abroad. Heart attack? You’re not covered. Need to be airlifted from your rafting expedition? Not covered. Cover care overseas. A Medicare Advantage plan often covers emergencies worldwide, but may not pick up the tab for routine care. If you have a basic Medicare plan (Parts A and B), you can purchase an optional Medigap policy for travel. A 65-year-old male would part with between $159 and $236 for a plan that would handle up to $50,000 while you’re outside the U.S., or add on an additional standalone plan for more coverage. Before you buy a plan through Medigap, check out travel insurance that is offered through a plethora of insurance companies. Investopedia offers a short tutorial on travel insurance options with a few recommended plans just for seniors to get you started. Say you tweak your knee and go to the hospital, which admits you for observation for a few days. Afterwards, you need rehab for your injury. Rehabilitation involves skilled nursing care, which is covered under Part A if you’ve been admitted to the hospital for at least three days. But if they only admitted you for observation, you’re out of luck and rehab will come out of your wallet. Cover rehabilitation. Always ask the hospital to admit you. In some cases, they may refuse. Be aware that going to the hospital and even spending the night does not always mean you’ve been officially admitted. Read more about your hospital status and Medicare coverage here. For about $35 (and up) per month, you can get a hospital indemnity plan that covers up to $600 per day for a certain number of days. If you count on massage, acupuncture or chiropractic treatments to keep you in optimum health, don’t expect Medicare to foot the bill. Medicare doesn’t reimburse for your Chinese herbs, either. However, the word is that some Medicare Advantage plans may cover services such as naturopathic therapies in the future. Before paying out of pocket, always check with your insurer to see if a service is covered. Cover alternative treatment. Massage schools are a great way to get cheaper treatment. Many offer student massages once a week. Most massage companies have package plans for a reduced rate, or get to know your favorite therapist and ask discreetly if they offer massages for a reduced rate at their house or yours. Ask your chiropractor or acupuncturist if she has a reduced cash price. Lastly, invest in a foam roller and see if you can go longer between sessions, or replace a session with a yoga or Pilates class covered by Silver Sneakers. In sum, the most important thing you can do before you schedule a procedure is check with Medicare, or your Medicare Advantage insurer, to see if a procedure is covered. Secondly, check around for deals before you buy services or aids. Finally, make sure the hospital (which should be in-network if that’s a requirement) is coding you as “admitted” and not “observation.” It’s a good idea to have a friend or family member aware of your needs so you have an advocate to accompany you. Lifestyle - MYTHBUSTER: Too Old to Learn? MYTH BUSTER: Too Old to Learn?